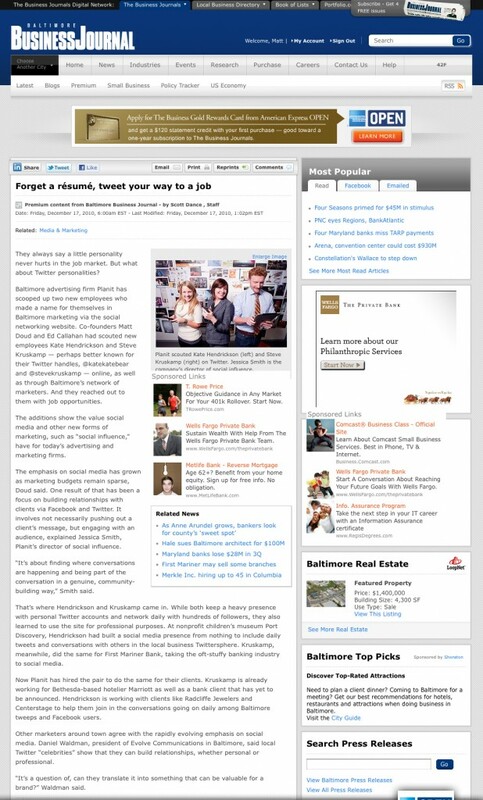 The Baltimore Business Journal features social-savvy Planiteers Steve Kruskamp, Kate Hendrickson and Jessica Smith. 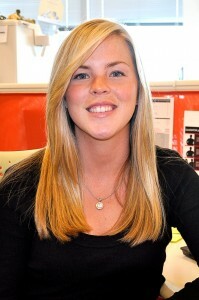 Planit is proud to announce the promotion of Erin Barry to Account Executive. 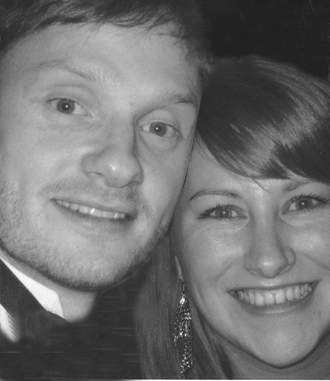 Barry joined Planit in January 2010 as Assistant Account Executive. Baltimore, Md. (December 2, 2010) – Planit, a Baltimore-based marketing communications agency, announced today that it has hired Amy Redgate as senior project manager, Kate Hendrickson as social influence specialist, and James Merrill as Flash developer. Redgate will be managing all aspects of interactive projects at Planit, including leading and participating in requirements definition, solution analysis, documentation design, and implementation. She joins Planit from One to One Interactive in Boston where she was account supervisor. After joining One to One in 2006, Redgate worked with a variety of clients on interactive marketing initiatives, including Chevy Chase Bank, Partners HealthCare and Upromise. Her projects ranged from managing large-scale website builds, paid search, display advertising, and search engine optimization (SEO), to email application development, customer research studies, and social media. As social influence specialist, Hendrickson will manage online community and social media platforms on behalf of Planit and its clients. Additionally, she will develop and execute word-of-mouth marketing campaigns, and provide content creation, strategy and client support for integrated campaigns. Prior to Planit, Kate was a public relations and events specialist at the Port Discovery Children’s Museum in Baltimore. Her responsibilities included social media management, press release and promotional material development, public relations strategy and web management, as well as event logistics. She worked with city agencies, media groups and national campaigns such as got milk?, Disney on Ice and Nickelodeon Parents’ Picks. Merrill is a talented Flash developer who will be responsible for developing Flash animation and coding for several of the agency’s interactive client projects. Merrill was previously a Flash developer at Flash Atelier in Sykesville, and prior to that was a lead Flash animator at Kneebouncers in Sykesville as well. His client experience includes Choice Hotels, RIF, Red Cross and USDA. Baltimore, Md. (October 20, 2010) – Planit, a Baltimore-based marketing communications agency, announced today that it has hired Steve Kruskamp as account director. Kruskamp will oversee the Marriott International account, along with several of the subsidiary brands in its portfolio. Steve joins Planit from 1st Mariner Bank where, as an e-commerce officer, he helped develop the existing e-commerce department. In addition to managing the bank’s web presence and digital marketing efforts, Kruskamp developed a social media program, setting precedence for financial institutions looking to use social media. Prior to 1st Mariner, Steve was involved in marketing and business development for several small startups. He has an executive MBA from Loyola University, and a bachelor’s degree in marketing and e-commerce from Towson University, where he is a guest lecturer for e-commerce and online marketing classes. Planit isn't a swanky lounge. It's an advertising and marketing agency. And while the workplace — especially in these tough economic times — might not conjure images of lively happy hours, flip cup and pool tournaments, Planit, and a number of area businesses, continue to provide free perks and discounted benefits to workers. Society writer Sloane Brown of the Baltimore Sun visited Planit recently to scope out fashion-forward locals in their work clothes. The new "Glimpsed at Work" feature is the first of its kind for the local paper. Check out Sloane's critique of five of our Planiteers here. Let us know what you think! 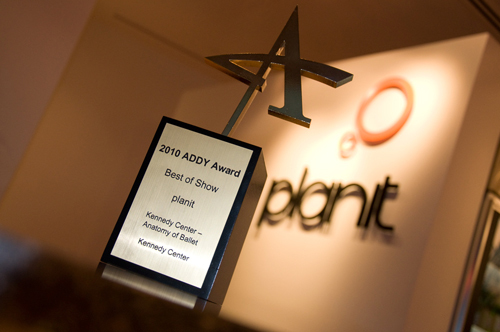 Baltimore, MD – April 22, 2010 – On the heels of taking home the top prize at the Advertising Association of Baltimore’s ADDY Awards, Matt Doud, president of Planit, has been named among The Daily Record’s Influential Marylanders for 2010. Doud was chosen as an honoree for the role he has played in the state’s impressive growth in recent years due to his prominence, activities and community involvement. The Daily Record’s fourth annual list of Influential Marylanders features state residents from all walks of life who are influential in a wide variety of ways and settings. The 2010 categories remain unchanged: civic leadership, communications, finance, education, health care, law, philanthropy, real estate, technology and freestyle. Doud, along with the other honorees, was honored at a ceremony on April 21 from 5:30 p.m. to 8:30 p.m. at the Grand Lodge in Cockeysville. Along with the other award winners, he will also be profiled in the Influential Marylander’s magazine distributed at the event and inserted in the April 23 issue of The Daily Record. To view the coverage online, click here. Below is a press release announcing our award win. To learn more about the award, click here. Baltimore, MD – March 31, 2010 – Planit, a Baltimore-based marketing communications agency, announced today that the company has been selected as a winner in the Administaff $100,000 Business Sweepstakes. Administaff, a leading provider of human resources services for small and medium-sized businesses, recently presented a $10,000 business grant to president, Matt Doud, at the Planit offices. The Administaff $100,000 Business Sweepstakes is an effective way for Administaff to fuel the growth of American small businesses, helping them to build on their successes and broaden their opportunities. Planit was selected from entries of small and medium-sized businesses in 45 states and the District of Columbia. About AdministaffAdministaff is the nation’s leading professional employer organization (PEO), serving as a full-service human resources department that provides small and medium-sized businesses with administrative relief, big-company benefits, reduced liabilities, and a systematic way to improve productivity. The company operates 50 sales offices in 23 major markets. For additional information, visit Administaff’s website at http://www.administaff.com. Ed Callahan discusses the future of advertising and the eReader industry with the Baltimore Business Journal's Julekha Dash. Click here to read the article. 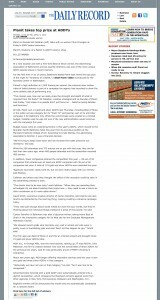 Baltimore gets to know Patrick Mish, CEO of M-Edge Accessories, in the Baltimore Business Journal’s 2 ½ minutes section. 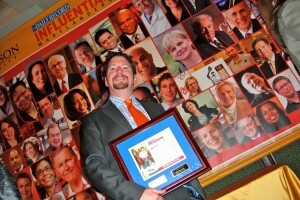 February 2010- Planit President Matt Doud is named one of 2010's Most Influential Marylanders by The Daily Record. Click here to view the full list. Baltimore, Md. (February 8, 2010) – Planit, a Baltimore-based marketing communications agency, today announces the addition of five significant new hires including Jason Wennet as senior copywriter, Angie Gentile as interactive producer, Boris Brodsky as senior web developer, Bonnie Schilling as director of new business development, and Erin Barry as assistant account executive. As senior copywriter, Wennet will develop copy for internal agency projects as well as external clients such as SunEdison, Baltimore Symphony Orchestra, Johns Hopkins, and Barclays Bank. Wennet joins Planit from PUNCH Communications based in Sykesville, MD, and prior to that, RTCRM in Washington, D.C. He has experience developing copy and messaging for US Airways, Time Warner Cable, Susan G. Komen for the Cure, Celebrity Cruises, Choice Hotels, and the Maryland Lottery. Gentile’s interactive producer position at Planit entails a blend of requirements documentation and project management for the development phase of interactive projects. She will support on-time and on-budget delivery. She joins Planit from Advertising.com where she was involved in new product development and part of a user experience team that focused on product management and business analysis. As senior web developer, Brodsky will develop software solutions for internal and external projects at Planit. He joins Planit from Advertising.com where he was a senior software engineer and worked with clients including RJR, Phoenix, Devry, Sony, Strayer, and Embarq. Schilling will focus on new business development for Planit and will play a vital role in generating client leads for the agency. Previously a partner and senior producer at Bill Schilling Photography, she oversaw all facets of the business, from studio management, account services, and marketing and advertising, to new business development and project management. Her client roster included Snyder’s of Hanover, Fila, Penn National, Green Turtle, and Weight Watchers, among others. Barry joins Planit as an assistant account executive. She will manage internal routing processes, financial invoicing, budgeting, and client relations for the Under Armour brand. Prior to coming to Planit, she was an account coordinator at Euro RSCG Worldwide in New York City where she worked with pharmaceutical brands including Pfizer and Medicis. Planit’s own Ryan Smith pops the question to long time girlfriend Jenn Koster. On the heels of being named one of Baltimore Magazine’s “Best Places to Work” in 2009, Planit is named among Baltimore Magazine’s top 10 “Fun Places to Work” in 2010. Welcome to the world, Eliza Jane! Planiteer Holly Moring and husband Scott added a new member to the beautiful Moring family today. Congratulations Holly, Scott, and Eliza Jane! January 2010 – Planiteers Kate Castille and Caitlin Mills attend the Consumer Electronics Show in Las Vegas with client M-Edge Accessories.